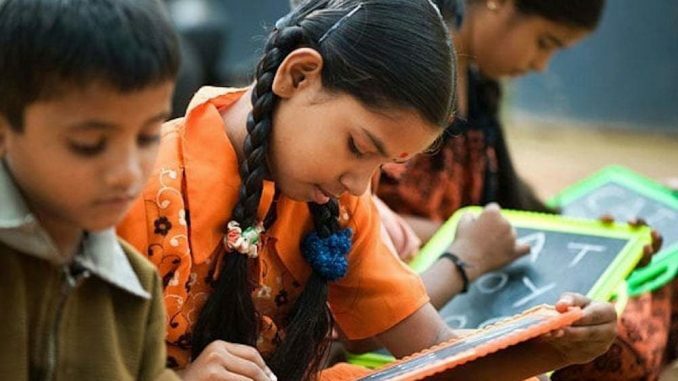 Why rural India still has poor access to quality education? India has a positive demographic opportunity, with half of its population in the working-age group. Needless to say, education is tool required to realise this demographic potential. Along with childhood nutrition, healthcare and good mentoring, quality schooling forms the basis of ensuring all-round development of a person. Quality of education depends on infrastructure such as classrooms, water and sanitation facilities, availability of electricity, provision for digital learning, sports equipment and facilities, availability of chairs and desks, and softer elements such as presence of school staff, professional competencies of teachers, access to books and learning materials, among others. The density of schools in rural India and teacher-student ratio have both improved, and enrolment ratio has shown a largely upward trend. This, coupled with sustained increase in education expenditure as a percentage of GDP, paints a positive picture for schooling. However, at the grass-roots level, the quality of rural education in India leaves much to be desired. Despite high demand for schools, as is visible by the upward trends in enrolment data, supply-side factors related to teacher availability and infrastructure leave much room for improvement. For instance, the District Information System for Education (DISE) data shows only 53% of total government schools, which form majority of schools in rural India, have electricity connection. Only 28% schools (18% government schools) have a computer and 9% (4% government schools) an internet connection. With the digital revolution beginning to be seen in urban schools, including urban government schools, it is likely that rural schools will miss riding the digital wave due to insufficient infrastructure. Many states are yet to fulfil the norms laid down in the Right of Children to Free and Compulsory Education (RTE) Act, 2009. Provision for playgrounds and construction of boundary walls, both of which feature in the Act, exhibit the largest shortfall, with 40% schools not having a playground and 43% not having a boundary wall. The figures for laboratories for science-related subjects is even dismal. Access to sanitation facilities poses a major impediment to student attendance, especially girls, and leads to drop-outs. The Annual Status of Education Report (ASER) 2017 data found that only 68% toilets in government schools are usable. Despite the fillip provided by the Swachh Bharat Swachh Vidyalaya campaign, which has increased the number of toilets across schools, the usability of these structures remains questionable. Lack of water, lack of lighting and electricity, poor drainage systems, and paucity of funds for maintenance and cleanliness have failed to feature on the agenda of sound WaSH (Water, Sanitation and Hygiene) management in schools, thus limiting the usability of WaSH facilities in schools. The number of teachers admitted to schools has risen, and the percentage of vacant posts has been decreasing. But the competencies of the teaching staff are below par—according to DISE data, 18% teachers in India, in 2016-17, had no professional qualification in teaching. Even when teachers are on-roll, high rates of absenteeism have been recorded. A World Bank study found that one in four teachers are absent at a typical government-run primary school. Absenteeism rates were seen to be higher in low-income states of Jharkhand and Bihar, with the former reporting a rate of 42%. Teachers, especially in rural India, often take on auxiliary tasks such as attend to the maintenance of school infrastructure, mobilise students & sensitise community on the importance of education, ensure implementation of social schemes at the school level, etc. All of this takes away from teaching time, and takes a toll on the quality of learning delivered. As per ASER 2017, a large portion of students surveyed had trouble with foundation skills of reading and arithmetic, fared poorly in abilities of calculating and telling time, could not use unitary method properly, and were unable to solve complex mathematical problems. Poor employability is a direct outcome of poor education. With 70% of India’s workforce residing in rural areas, it is rural India that will form the majority of tomorrow’s workforce—half of the total population is expected to be in rural India by 2050 (according to NITI Aayog). A major cause for rural to urban migration is the search of better employment opportunities. The net migration from rural to urban areas is about 20 lakh per annum, of which 10 lakh are expected to be job-seekers (MSS Research). The poor quality of education in rural schools will surely affect the employability of rural youth. Handicapped with low employability skills and poor educational foundation and the resultant low productivity, their struggle to find better-paying opportunities will likely follow them wherever they go. Against this background, India’s positioning to convert the benefits of the demographic dividend into increased national income is weak.